In recent years, Amazon, Walmart, Target and other national stores have fought to secure their market share of online purchases delivered to the consumer’s door by FedEx, UPS, and Amazon delivery trucks. Every business day in Cook, DuPage, Will, Kendall, Grundy, Lake and Kankakee Counties, large delivery trucks buzz through local communities delivering hundreds of thousands of packages to households and companies that buy products and goods online. Most of these drivers follow Illinois rules of the road as they deliver their packages in quiet neighborhoods and the crowded business district. However, when these large heavy trucks are involved in an accident with another motorist or pedestrian, severe injuries and fatalities occur. Many delivery truck accidents are caused by the negligence of the delivery driver who might have pulled out of their parking spot too quickly into moving traffic, neglected to use turn signals or stopped suddenly without notice. Injured victims and surviving family members who lost a loved one in a delivery truck accident can obtain financial compensation paid by the driver’s delivery company, like Amazon, United Parcel Service, or Federal Express. Aggressive Driving Behavior – This can include aggressively cutting off other motorists or speeding on city streets and interstate highways including Interstate 94, 90, 290 and 294. Distracted Driving Behavior – Speaking or texting on a smartphone is not only prohibited by law, be extremely dangerous. Drowsy Driving – Many delivery truck drivers work long hours, often without getting enough sleep at night before operating their vehicle to deliver packages to commercial properties and residential homes. Impaired Driving – Some delivery truck accidents are the result of intoxication or impaired behavior when the driver is taking prescription medications or illegal drugs. If the delivery truck is making erratic movements caused by the driver’s aggressive behavior or distraction, both the driver and their delivery company should be held financially responsible for causing the accident with injuries or death of innocent victims. If you have been involved in a motorist- or pedestrian-related Amazon delivery truck accident you can likely file a claim for compensation to recover your damages. However, determining employer liability involving Amazon delivery trucks can be a complicated issue. An experienced personal injury attorney can usually build a case that holds the delivery driver financially accountable for the accident, primarily if law enforcement at the scene cites the driver for negligence. However, Amazon might not be legally liable to the victim for numerous reasons. Most of the delivery trucks delivering packages for Amazon are owned and operated by third-party delivery contractors that use third-party vans and trucks. Usually, these private companies work under exclusive contractual agreements for Amazon to deliver only their packages, boxes and parcel. Because if Amazon did not directly own the vehicle, and the driver was likely an employee of the privately-owned delivery company, it can be challenging to name Amazon as a defendant in a compensation claim or lawsuit. In the last decade, Amazon has pushed its “Prime Two-Day” delivery option to prime members along with other features including Prime Now, Amazon Fresh and others that deliver prepared food, groceries, and millions of items within a limited time frame of one to two hours. Fast delivery schemes cause significant demands on Amazon and the need for more delivery companies in the Chicago area to fulfill orders placed by thousands of Amazon consumers. Unfortunately, many of these drivers are inexperienced and lack proper training to keep themselves and other motorists and pedestrians safe from dangerous accidents. The FMCSA (Federal Motor Carrier Safety Administration) regulates commercial trucking in the United States and has set safety standards that include weight limits, hours of service, alcohol and drug testing, and driver health. Many accidents involving delivery truck drivers are the result of one or more violations of these regulations. In a court of law, plaintiffs (victims) can file compensation claims or lawsuits against the delivery company and their contractual employer, like Amazon, to obtain financial recovery for their damages. If it is determined that the driver causing a motorist- or pedestrian-related accident violated regulatory rules, the plaintiff’s attorney can seek punitive (punishment penalties) damages to secure the highest monetary compensation for their client’s injuries. The additional punitive funds awarded by the court, when allowed, can pay for current and future medical expenses, reimbursement for time away from work, pain, and suffering. Additionally, these funds can provide temporary or permanent disability payments to secure the victim’s financial future. Blind Spots – The Amazon truck driver is unable to see other motorists and pedestrians due to the size and large shape of the truck. Distraction Technology – Distractions can occur when the driver uses GPS technology while attempting to identify and locate the next delivery address. Inclement Weather – Harsh weather conditions can create serious, life-threatening control issues where the driver loses control of the truck because it was loaded improperly to travel safely on slippery roads. Unrealistic Workload Schedules – The success and profitability of many large merchandise companies, like Amazon, depend on delivering the right product to the right customer on time. However, promising quick delivery can create unrealistic expectations and impracticable scheduling by employers resulting in the driver working long hours under extensive physical laborious conditions that could lead to serious accidents when they attempt to meet deadlines. Heavily Loaded Trucks – When fully loaded, a delivery truck can weigh more than 26,000 pounds. A heavily loaded truck striking a vehicle weighing up to 3000 pounds can be devastating. If the truck hits a pedestrian, the results can be catastrophic. Compensation Programs – If the driver is incentivized to cut corners and hurriedly deliver packages on time, the result can be disastrous if the truck causes an accident with a motorist or pedestrian. Amazon has launched numerous “on-demand” features to its Prime Membership subscriptions including Amazon Fresh, Prime Same Day Delivery, and Prime Now where items, products, and groceries are delivered the same day or within one or two hours after placing an order. To ensure these orders are delivered on time, Amazon has contracted privately-owned delivery companies and individuals that use their cars, trucks, and SUVs to make deliveries. While some drivers are paid minimum wage, others are paid by the delivery and can keep their tips. To make a decent living, the driver must deliver items quickly and efficiently. Unfortunately, this business model can be a recipe for disaster. Many insurance companies will not cover drivers using their insurance coverage for commercial use like delivering product consumers that are sold by businesses and corporations. The Delivery Vehicle Driver – Most accidents involving delivery vehicles are usually caused by driver mistakes that could include driving while impaired due to sleepiness, alcohol, or prescription/illegal/over-the-counter medicines that cause drowsiness. Other errors could consist of distraction caused by an electronic device like a GPS navigation system or smartphone. In some cases, the driver will have a recorded history of serious driving problems. The Delivery Vehicle – The accident might have been caused by improper maintenance of the delivery vehicle. If so, the owner of the vehicle can be held financially liable for the victims’ damages and injuries. Liability might extend to the company’s maintenance department or a third-party maintenance company in charge of ensuring that the vehicle runs appropriately and safely. The Loading Department – To ensure that the truck operates safely, employees must carefully load the vehicle to ensure it remains balanced at all times, especially under hazardous weather conditions. Improper loading of the cargo can cause the driver to lose control of the vehicle that results in a rollover or other serious, life-threatening accident. The Vehicle Manufacturer – An experienced attorney working on behalf of the victim may be able to determine that it was a manufacturing defect, broken auto part, or defective tire that caused the accident that led to serious injuries or fatalities. [Little Village, Chicago, Illinois] – In December 2016, an Amazon delivery driver was taken into custody by law enforcement officers after striking and killing an 84-year-old woman on Chicago’s Southwest Side in the Little Village neighborhood. Eyewitnesses said that the elderly pedestrian was walking back to her home from her beautician’s business when she was hit by the Amazon delivery truck. People in the vicinity witnessed the delivery truck swerving around a passenger vehicle just before making a left-hand turn off West 28th St. onto Drake and hitting the pedestrian. The elderly woman was struck while crossing the street and apparently dragged approximately 30 feet on the roadway before the truck finally came to a stop. The victim succumbed to her injuries after being rushed to Mount Sinai Hospital at 1500 S. Fairfield Ave. in Chicago. 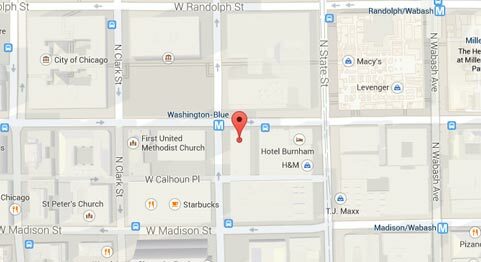 [Seattle, Washington] – In January 2016, an Amazon Fresh delivery truck traveling at a high rate of speed in rainy weather conditions smashed into the side of the downtown Seattle building at night. Fortunately, no injuries were reported to the Washing State Patrol. [San Diego, California] – In December 2016, an Amazon Prime delivery truck ignited into flames while traveling through Scripps Ranch on Interstate 15, blocking the northbound lanes. The delivery truck was the only vehicle involved in the accident. [Oakland, California] – In May 2016, hundreds of packages being delivered to an Amazon distribution center were scattered across Interstate 5 in a crash that happened during morning hours, blocking northbound lanes near Orland. Fortunately, only the Amazon delivery truck heading north to Portland Oregon was involved. A Sergeant for the Willows’ California Highway Patrol stated that the trucker had been driving all night before drifting out of the right lane while nodding off. The trucker woke up just before the vehicle was steered to the right and hitting the overpass. Bodily Injury – The insurance policy will provide coverage to pay victims who were injured in the crash caused by the Amazon truck driver or another employee of the delivery company. Property Damage – Victims can file a property damage claim for any extensive or minimal damage that occurred in the accident. 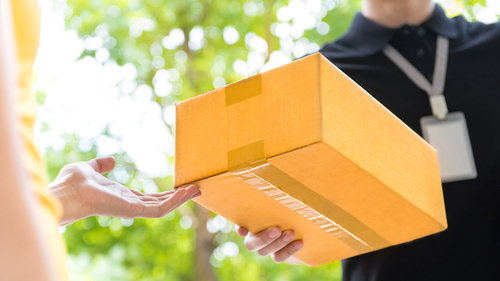 Collision – Filing a compensation claim using collision coverage can provide funds to repair or replace the vehicle that was damaged by the Amazon delivery truck. Comprehensive Insurance – This type of insurance is used by the delivery truck company to replace or repair damage to their truck if the damage did not occur in a collision, but by other means like vandalism, theft, or a fire. Cargo Insurance – This type of coverage provides a financial safety net if damage to the cargo occurs when being transported. Non-Trucking Liability – “For-hire” truck drivers are required to have extensive liability insurance to offset the costs involved in an accident when the driver was not operating the vehicle for work-related activity. Hiring an attorney is essential to ensure you receive adequate financial compensation from every party responsible for causing your injuries. If you, or a loved one, were severely injured in a delivery truck accident that was not your fault, our team of dedicated personal injury attorneys will fight aggressively to negotiate an acceptable out of court settlement on your behalf. If needed, we will build your case and present the evidence and facts of how you were damaged or injured in front of judge and jury. However, due to strict Illinois statute of limitation deadlines, it is essential to contact our attorneys today to discuss your case before your right to file a claim expires. We provide free initial consultations and will offer numerous legal options on the best way to proceed in your case to ensure you receive the highest monetary amount you deserve.